I mentioned having a Linksys WRT310N earlier. One day I walked into a networking shop and they happened to have the new Linksys WRT160N and WRT310N on the shelves. I asked the salesperson for their prices and they were selling them for exactly the same price! I asked why anyone would buy the WRT160N when the WRT310N is exactly the same price, and he said the prices came directly from Linksys. So... I bought the WRT310N, and two minutes after arriving home, the warranty is void. I had to install DD-WRT because it supports far more devices than Tomato does. 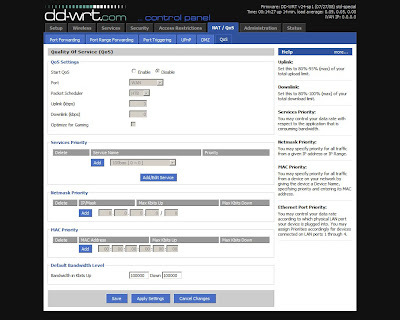 I don't dislike DD-WRT, but when I last used it, I kept running into a problem where if the router loses power, it resets to the default configuration. This bug seems to be fixed in the current release. WRT310N has a 300 MHz CPU, 32 MB RAM, and 4 MB Flash. The good ol' WRT54GL's 200 MHz CPU, 16 MB RAM, and 4 MB Flash. The WAP54G with 200 MHz CPU, 8 MB RAM, and 2 MB Flash. 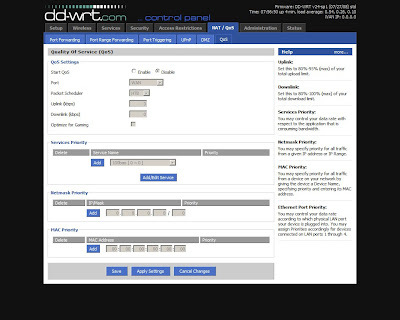 Running DD-WRT Micro. 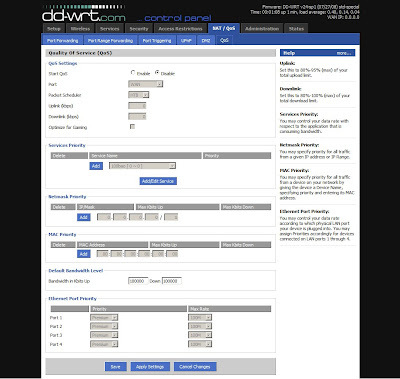 DD-WRT Special has advanced QoS settings with detailed bandwidth control. 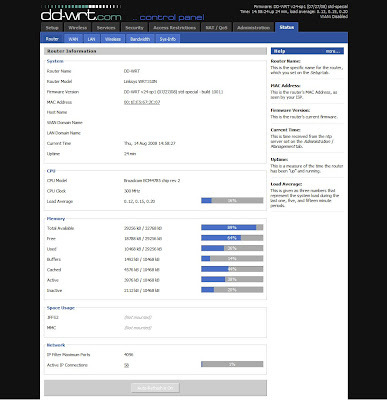 I loaded the WRT310N with DD-WRT regular edition to capture the standard QoS settings screen. DD-WRT Special has other nice things like PPPoE server built in. 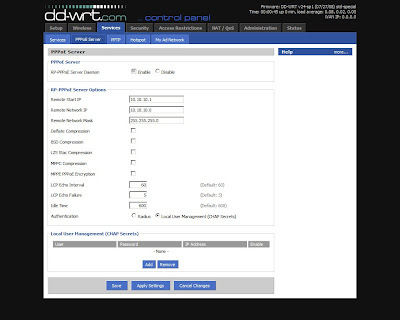 Another DD-WRT Special feature, Zero IP Config.